Who’s the mysterious “Mr.G” behind this 60s outfit which released 6 Singles for Parlophone, Decca and CBS labels from 1965 to 1968, credited to The Whip, Fox, The Winston G Set, Winston G & The Wicked or simply Winston G? His real name was Winston Beresford Gawk or Gork, a suntanned singer with indian roots. Sadly for such a cooly named character, his releases are mostly weak soul-flavoured efforts. In spite of this, Winston G played an important role as a pivotal point in British rock as his material crossed from heavy rock to psychedlia. 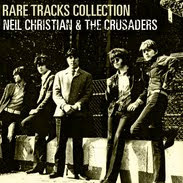 His band included, at various times, such great musicians as Tony “Top” Topham, the original lead guitarist with The Yardbirds, Ronnie Harwood who penned “You Drive Me Crazy” for Shakin’Stevens in the early 80s, Peter Beckett later of Player, or Huw Lloyd Langton of Hawkwind and Widowmaker. Winston G starded out as a solo act, first under the moniker “Johnny Apollo”, and was managed by Robert Stigwood. In August 1963, he was backed by The New Premiers, a Rock outfit from North London, whose lead singer, Ronnie Harwood switched to bass and then was asked to join “The Ravin Savages” (who had left Screaming Lord Sutch and taken the new name for themselves). 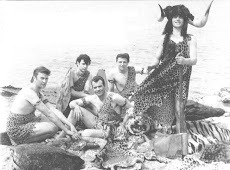 Shortly thereafter they had broken up with guitar player John Gilbey joining Screaming Lord Sutch’s Savages. 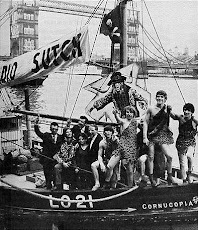 Following the demise of the Raving Savages in late 1963, bass player Ronnie Harwood and lead guitarist Geoff Mew returned to England from Germany and met up with pianist Paul Nicholas and drummer Pete Phillipps who had both just left Screaming Lord Sutch. 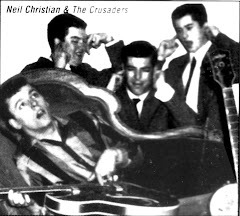 They had formed up a new band and were groomed by Michael Black, brother of Don Black, rehearsing at the Astor Club in Berkeley Square in London in early 1964. Harwood got them connected with Winston Gork there. They were initially to be called "Johnny Appollo & the Purple Hearts" but the relationship was not a smooth one and Winston parted company from the quartet. They were subsequently fired by Bertie Green the Boss of the Astor and then became the backing band for Screaming Lord Sutch. In January 1965, Stigwood put him on the road in a 24-date UK package tour headlined by Chuck Berry. Support acts on that tour also included The Graham Bond Organization with Jack Bruce on bass and Ginger Baker on drums. 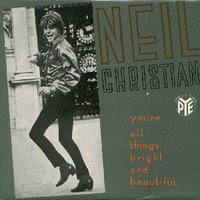 As they shared the same manager, they backed Winston G on his debut single "Please Don't Say", a Charles Blackwell’s composition, released 3 months later on Parlophone, the same label as The Beatles. The follow-up, "That Way Too"/ "Until You Were Gone", issued in September 1965, was produced by Stephen Komlosy and credited to Winston G & The Wicked. Indeed Robert Stigwood wanted Winston G to front his own band, and asked former frontman of The New Premiers, Ronnie Harwood to form it. The first incarnation of The Wicked consisted of 2 ex-Savages, Ronnie Harwood on bass and Brian Hammick on guitar (previously with The Easybeats from Burnt Oak), and Tony McIntyre on drums, formerly with Steve Marriot & the Moments. In October 1965, Ronnie Harwood returned to the Savages and was replaced with Jeff "Rivens" Watkins. By 1966, Winston G switched to Decca, which issued his third release, "Cloud Nine", recorded with session musicians (1), enhanced by funky horns, and produced by Les Reed (who had also penned the song with Barry Mason). Sadly this single failed to chart as the previous one did. 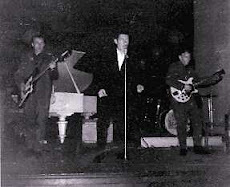 In early 1967, the band was renamed "The Winston G Set" with the addition of a piano/organ player nicknamed "Tony Poser". 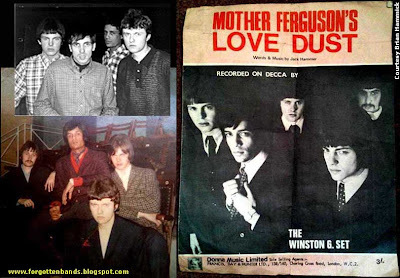 After the release of "Mother Ferguson's Love Dust"/ "Judge And Jury" in April 1967, original guitar player Brian Hammick left (2) to be replaced first with another ex-Savages, John Bedder then later with Tony “Top” Topham. Topham, who stayed in the band for a couple of years, had earlier been with The Yardbirds in 1963 (he was actually their original lead guitarist and was replaced with Eric Clapton…). The Winston G Set, later to be named Fox dabbled with psychedelic rock and their stage act caused some raised eyebrows up and down the country. 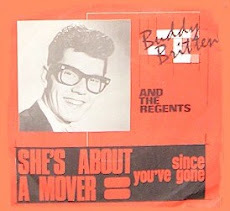 Bobby Graham produced their next release "Bye Bye Baby", the last one for Decca records, issued in late 67. By this time a younger bass player called Chris Jones (not related to the Brummie lead guitarist with The Chucks and The Way Of Life) took over from Jeff Rivens. Their schedule took them on a tour of Europe, particurlarly in Germany where they became very popular. "Hey! Mister Carpenter", released on the CBS label, in April 1968, was a number written by Nicky James with ex-Traffic man, Dave Mason guest-starring on sitar. It’s very poppy with a repetitive chorus and some catchy guitar. The 'B' side, "Seek And You Find" is much heavier. "Les did write and produce the Winston G. recording of "Cloud Nine" way back in the late 60's. Main girl singer (Miriam Stockley) and b/g( The Breakaways)." "on 'Judge And Jury' close friend Steve Marriott can be heard singing backing and during my solo"
"I left the band due to getting engaged and my then girlfriend (now wife) couldn"t take the attention I used to get from female fans." 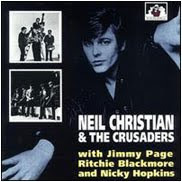 Winston Gork (Lead Vocals) "Johnny Apollo"
John Gilbey (Lead Guitar) "Nervous"
Brian Whelan (Drums) "Pretty Boy"
Paul Beuselinck (Keyboards) "Paul Dean"
Winston Gork (Lead Vocals) "Winston G"
Geoff Watkins (Bass) "Jeff Rivens"
I have a couple of funny bits to add re Winston G. A friend and I went to one of the Chuck Berry concerts which had Winston G on the bill (Finsbury Park Astoria). Neither of us thought much of him. A few weeks later we went to a benefit night (possibly for Mark Leeman's wife as Mark had recently died). We were waiting in the queue and struck up a conversation with a chap behind us. He asked us if we'd been to the Chuck Berry concert and we said we had. He then asked what we thought of Winston G. We told him, "not much", and at that point he indentified himself as Winston G! He took it well, and it didn't stop him from accepting one of our membership cards passed to him after being shown by my mate, thus getting into the gig cheaper. We were at school at the time and a week or so later we were on our lunch break in Chalk Farm, London, when we bumped into him. He was on a break from using a small recording studio a street away from our school. That's it, my brush(es) with Winston G.
Saw the band several times in 1967, cracking tight sound. The drummer was the bis. But sadly destined to be another good grass roots band passed over. When I think of the rubbish that "made it" during that period, all I can say there ain't no justice. Was agood friend with Tony McIntyre when we were with Steve marriott's band, anyone know wher he is? Hello Dennis we have made contact on Facebook I was the bass player for a while with Winston The "G". Let's find that Mcintyre guy. He must surely look at the You tube Winston vids every now and again. I hope he is alive and well. Cheers mate, Geoffrey Watkinson. ( living in Mexico but born in Dagenham). Were you the bass player with a moustache nicknamed “Jeff Rivens”? How long were you with Winston G & The Wicked? Do you remember who did take over from lead guitarist Brian Hammick? In which bands were you before Winston G & The Wicked? Was next door neighbour to Tony McIntyre when he was with Steve Marriott and Winston G. Mum and Dad were happy to hear the bands practising although the other neighbours weren't!! Tony went to America and worked for Amnesty plus other jobs. His brother says Tony was also a guide at Gracelands. Tony was taken ill a few years ago and returned to the family home in Dagenham March 2012 to live with his brother. His health deteriorated and April 2016 Tony died. Very sorry to hear this news. Amazing drummer and a brief work colleague between apprx. 1963/4. Tony worked at an advertising agency called Saward at 79 New Cavendish Street W1 around this time. He was a Press Production/Print Buyer for the agency. I took over from him and lost touch until a few years later. He often spoke of Steve and I met him a few times. Once saw Tony play The Cellar (originally The Jazz Cellar?) in Kingston, with Steve I think. They were always changing names, The Moment, Frantics, Moonlights At lunchtimes Tony and myself would go with a crowd to The BreadBasket (late fifties early sixties folk)a small cafe in Cleveland St. We would both go through to theroom with the juke box. I remember him one day putting on The Cruel Sea by The Dakotas (flip side of Billy J Kramer) and showing me the fills. He used a silver grey Ludwig kit at the time. He didn't go with Steve into The Small Faces after leaving. He mentioned something about the J60 bar and different places Steve worked, but my memory is very vague now. Sometimes we would stroll down the road to Doc Hunt or Drum City (Drumland?) in Shaftesbury Avenue. Lost touch with him until coincidentally, went to The Middle Earth Club in Covent Garden (could still have been The Electric Garden?) and saw him playing drums in Winston (or Winston G). I was very much the worse for wear (cough) and after this time, sadly, I never saw him again. This may have been the same night as Captain Beefheart And His Magic band headlined, but I am not sure. If I can locate my friend, to confirm, will report back. Somebody also told me he married a Miss England finalist, but I could never confirm it. A seriuosly fine drummer, sadly overlooked. In the late seventies, I was working nights at a cheuffeur company. I got a call from Stockwell in South London and to my surprise it was Steve Marriott. Long interesting journey, but suffice to say, I drove him back home through Essex and we talked about Tony. He spoke warmly and asked had I seen him. Seems he had also had lost touch. Would be nice if someone on here, could fill in some more of the gaps. my little home studio. Thanks for the interest. The person that lived next to Tony McIntyre,Yes I remember well rehearsing in Tony's house, knew he had a brother, did he marry a beauty pageant girl and what was his brother's name. I live in the States, been here since 1974, did not know Tony was over here. 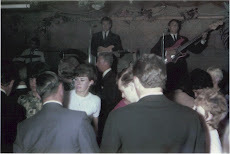 Back in 1964 I was in a Jersey band called the Cousins playing in Germany. One day our singer did a bunk. So the agency (Michael Black) sent out Johnny Apollo. We worked there till the end of that summer, and then went our separate ways. Veronica ( Ronnie) was Tony Macs girlfriend I don't know if they ever married. I would hang out with them when I was playing bass in the Winston G band in 1967.